Forget about having a closet full of jackets you never wear — update your options with the Nobis Yves Down Parka Coat, which has the modern styling and classic lines any professional man will appreciate for winter wear. 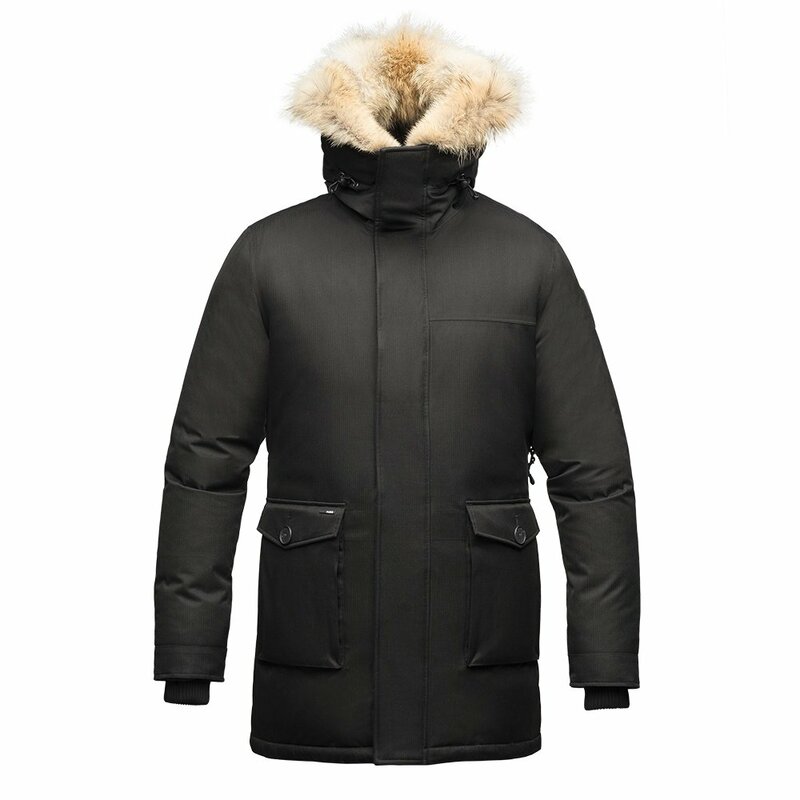 Nobis designed this coat with features to keep you warm in cold weather, like a duck-down fill, an extra-tall collar with a coyote fur ruff, and telescopic inner sleeve linings to keep wind out. The Nobis Yves Down Parka Coat can go from day to night and from the boardroom to the village without ever looking anything less than elegant and stylish.